Detectives hunting one of the UK's worst serial rapists have made a direct appeal to him to give himself up. He has been linked to 98 offences involving the elderly in south-east London since 1990 and police believe he has a connection to the Brighton area. While he targets mainly women aged between 68 and 93, officers believe he has also carried out 10 attacks on men. Psychologists have described the attacker as a gerontophile - someone who is sexually attracted to old people. Tests on DNA samples have linked him to the Windward Islands in the Caribbean and detectives are due to travel there to make a further appeal. He has mentioned Brighton to victims and police believe he may have a connection with that area. Det Supt Simon Morgan said he believed the attacker had a "conscience" from the way he has responded to his victims' pleas. "He does have a conscience, we've seen that from the way that he has behaved when victims have challenged him. "He knows this is wrong and he knows that it has to stop and it will stop and he has to come forward." In a direct appeal to the attacker, he said: "You know that this has to stop and you know that you have to come forward and hand yourself in to police." Police believe the man has raped four victims and sexually assaulted 24 others during a total of 98 break-ins. The attacks have been concentrated in areas such as Shirley in Croydon, Forest Hill, Orpington, Coulsdon and Warlingham. He targets elderly victims at home alone and police believe he may have been walking the street looking for potential victims. He is described as a black man in his late 30s, of athletic build and between 5ft 10in and 6ft 2in tall. 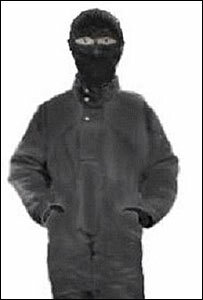 He tends to wear balaclavas, all-in-one outfits similar to a motorcyclist and at times a hooded top. He has revealed to victims his mother died in 2000, a clue which has helped police to narrow down their list of suspects. Some 21,500 potential "persons of interest" were originally identified during the inquiry codenamed Operation Minstead with almost 10,000 so far eliminated.